Take a sip of hot cocoa with this mug as it will magically uplift your christmas spirit. Use this sugar scrub to enhance your skin by making it look soft and glowy. 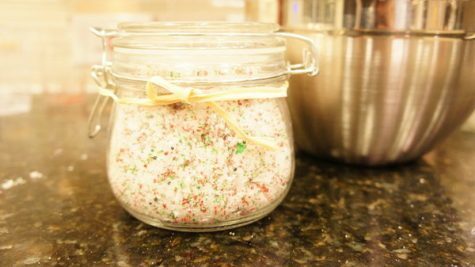 This special holiday edition sugar scrub is great for your skin. You can use it to wash your hands, to exfoliate chapped lips, and for massaging purposes. Get your cups of sugar. Now pour all the sugar into a medium sized bowl. Time to mix. Add the coconut oil (add more if you prefer it to be more moist) to the bowl and mix it with a mixer until you get a creamy substance. Add Peppermint Essential Oil. If you wish to add scent in your sugar scrub, add a few drops of your peppermint essential oil into the mixture and continue stirring for a few seconds. Sprinkle the sprinkles. Instead of having your sugar mixture all white, add the Wilton Christmas sprinkles to put a touch of holiday spirit. Time to mix again. Mix together until everything is creamy. Decorate. Lastly, tie a ribbon around your mason jar to finalize your gift. This Santa Beard Mug is not just an ordinary mug, it gives a touch of holiday spirit while you enjoy your hot cup of hot cocoa. Buy some white mugs. For the cheapest price, you can find $1 white mugs in your local dollar stores or online! Pick a Sharpie. Since regular Sharpies don’t have long-lasting results, choose an gold oil-based paint Sharpie marker. Go online. 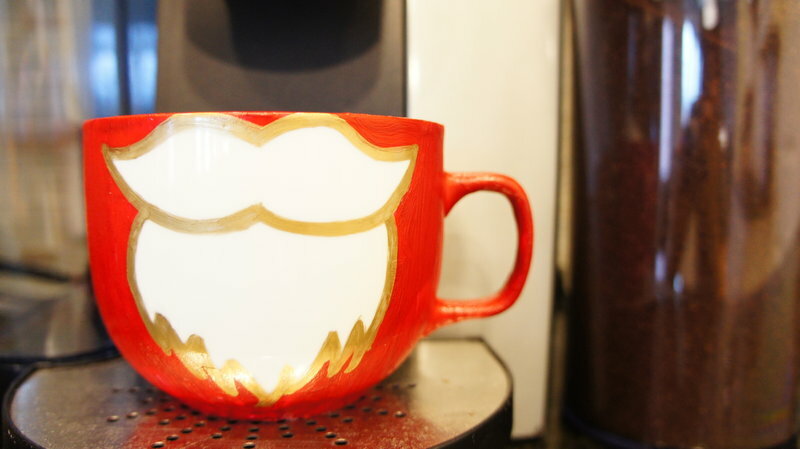 Get some ideas of what kind of santa beard graphic fits your mug the best. Start drawing. Get your white mug and gently outline the picture of the beard that you found online with a pencil. Once you are done, use your gold oil-based paint Sharpie to go over your pencil marks. Paint the mug. Now for the fun part. Using your paint brush, paint your mug with the Red acrylic paint. Note that it is OK to paint over your gold outline, however, be careful not to paint over the white inside your outline. Outline again. Get your gold oil-based paint Sharpie again to go over your beard outline. Time to dry. For a two to three hours, let your mug dry before placing it into the oven. If you want to dry your mug faster, you can use a blow dryer in cool mode. If you wish to draw over it again, be sure to leave it out again to dry before you bake. Bake it. Place the mug in the oven at 350 degrees for 30 minutes. Note that you should place the mug in the oven before it heats up and leave it in until the oven cools down completely so there won’t be any cracks. Wash. Instead of putting the mug in the dishwasher, gently hand-wash it since the dishwasher could potentially ruin your design. Give this personal Diamond Letter Necklace for your beloved mother, your sister, your grandma, and your other-half. Personalize this Diamond Letter Necklace with your receiver’s first initials as it will feel special for them. Decide what to put. Think of what letter you should put onto the pendant with your white diamond stickers. Place the stickers. Take each white diamond sticker using your tweezers and stick each sticker onto the circle silver plate pendant. Paint over with clear nail polish. In order to strongly hold the stickers on the pendant, thoroughly paint over the stickers with clear nail polish. Time to dry. Let your pendant dry for about one hour. Create the necklace. Put the necklace chain in the pendant’s hole in order to make a necklace. Finalize the gift. 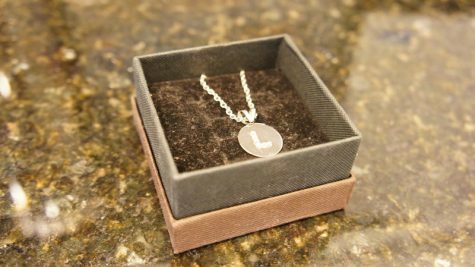 Place your finished necklace in a jewelry gift box.